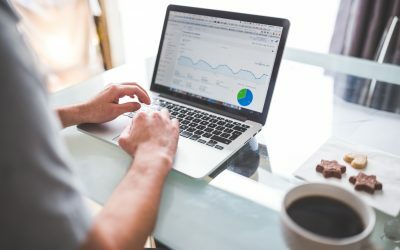 In the initial stages of making the decision to advertise on paid search, one of the most important choices you will make is what your paid search budget should look like. A number of factors should play into this decision. To start your PPC campaign, you need to develop a rough keyword list. Once this list is developed, you can load those keywords into the Google Keyword Planner, located within the AdWords system in the Tools section. When in the tool you will have a number of options. This tool can help you build your keyword list to generate an estimated spend, or you can take the list you already generated and run it through the “Plan your budget and get insights for keywords” section. In this section you enter the keywords or upload a file, adjust the targeting elements and then click the button “get forecasts”. Once you have this data, you have an idea of what the cost per clicks look like for the keywords you think are relevant to your campaign. For example, if the average CPC is $10 and you budget $500 a month, that equates to 50 clicks a month, which would average out to 1.644 clicks a day. With only 1 – 2 clicks a day, how can you ensure the effectiveness of your campaign? What if those two clicks are done before your office doors even open? If the estimate for the targeting you set indicates that it could deliver 50 clicks a day in the top position for those keywords, then you at least need to try and budget for a 1/3rd of that forecasted budget to see if the campaign can be effective. This assumes that you will likely add more keywords prior to launch and during the first few days / weeks, and that you’re bidding may not be in position 1. In this scenario, the recommendation would be: 17 clicks a day (33% of the 50 you could get) at $10 per click = $170 a day or $5,168 in ad spend a month.